Sorry, we do not have any Stationary products available at this time. San Francisco scrapbook stickers featuring the Golden Gate Bridge, San Francisco Cable Car, Crabs and the Painted Ladies are ideal for highlighting vacation photos and special occasions. 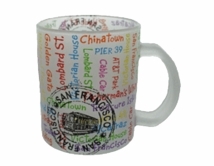 Our Cable Car pen and San Francisco theme bookmarks make great gifts. 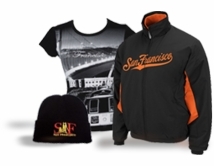 Contact us for bulk ordering for special events, party favors and corporate gifts.